When was the last time you had your family portrait done? 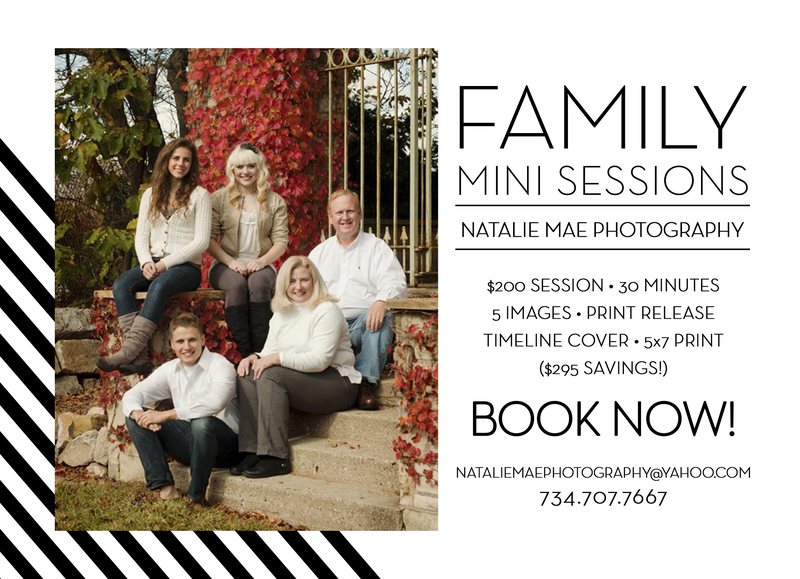 Preserve those precious memories with a family mini session. For only $200 you will receive a 30 minute portrait session, 5 digital images with a print release, custom timeline cover, and a 5×7 print of your favorite image. Additional prints and products are available for purchase. Offer good through February 28, 2015. Session fee must be paid in full to hold your date.